There are 21 blog entries for February 2011. Thursday, February 24th, 2011 at 9:51am. Reported by online "Pacific Business News", "After 45 years of talking about rail, the City and County of Honolulu Tuesday broke ground on its $5.5 billion, 20-mile project." According to the online edition of the "Honolulu Star Advertiser" newspaper, "Trump Waikiki Satisfied with Unit Occupancy". According to the newspaper, "The International Hotel Waikiki Beach Walk Trump is declaring that it has reached a critical mass, with a large majority of rooms and suites in service more than a year after opening. It's been a long, slow buildup for the ultraluxury property." 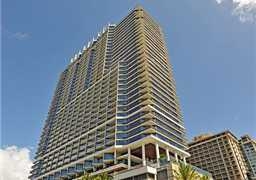 Read more of "Trump Waikiki Satisfied with Unit Occupancy". Monday, February 21st, 2011 at 11:45am. "Honolulu Magazine", in their online website, recently wrote a great article, "Inside Honolulu's 909 Kapiolani'. The author, Jenny Quill writes: "Kakaako is a sought-after neighborhood thanks to its central location-situated between downtown Honolulu, Ala Moana and Waikiki-and its many amenities, including Blaisdell Arena and Concert Hall and shops and restaurants at Ward Centers and the surrounding area. 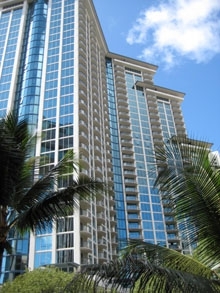 Built in 2007, 909 Kapiolani has 225 residential units spread across 33 floors. The majority of the condos have between 600 and 850 interior square feet and small lanai (think 42 square feet) with ocean, mountain and city views. Read more of "Inside Honolulu's 909 Kapiolani'. Friday, February 18th, 2011 at 11:06am. Living, working and playing in Waikiki is a fun, mixed bag. This is the time of the year, of course, when we see many, many toursits visiting from all over the world. I'm easily entertained hearing people talk in so many different foreign languages. It's a mixed bag, because for those of us who are working, it can be a distraction (I want to play too) when there are so many people enjoying their leisure time and so many fun things to do. Check out www.Waikiki.com for the Top 10 Activities for Waikiki Visitors. Thursday, February 17th, 2011 at 11:48am. According to www.kitv.com and KITV News, Ivank a Trump made a whirlwind visit to Waikiki and the Trump Tower Waikiki Hotel and Condos yesterday. For those of our clients who have been thinking about purchasing a unit in Trump Tower Waikiki, it is great news to note that hotel occupancy is at 90%! Read the restof the story, "Ivanka Trump Makes Whirlwind Trip To Hawaii". Wednesday, February 16th, 2011 at 1:59pm. As the annual Downtown Dallas Inc. meeting and luncheon drew to a close at the Fairmont Wednesday afternoon, officials presented a 360-degree view to the 1,000 attendees who — other than getting a little dizzy — were left with a laundry list of endless development opportunities. The annual meeting doubled as the kick-off event of the Downtown Dallas 360 action plan, which will give city officials and private business leaders a blueprint for the next stage of developing downtown, said John Crawford, CEO of Downtown Dallas Inc.
"We think we can certainly achieve this and it will not sit on a shelf and gather dust,"
Tuesday, February 15th, 2011 at 12:23pm. 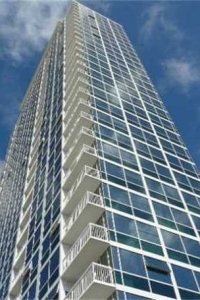 Here are the latest statistics for sales in Allure Waikiki Condo Building located in west Waikiki of Honolulu. These are sales since for the last six months, and according to the listing agent or listing office who posted all four sales, it was entered as "reporting for statistical purpose only". Average Days on the Market Before Sold: N.A. Tuesday, February 15th, 2011 at 11:32am.